Not the best photo I’m afraid.. I was too busy eating the deliciousness! This recipe is an old favourite and is from my favourite food blog, Rasa Malaysia. If you don’t know her blog, please go take a look, it’s absolutely fantastic and every single recipe is a winner! The chicken is incredibly silky and tender and the whole dish is spicy without being too overpowering. There’s an incredible mix of flavours that are absolutely scrumptious, and I love the crunch provided by the peanuts. Best of all, it’s incredibly easy and very quick to make, so it’s perfect for a weeknight dinner! 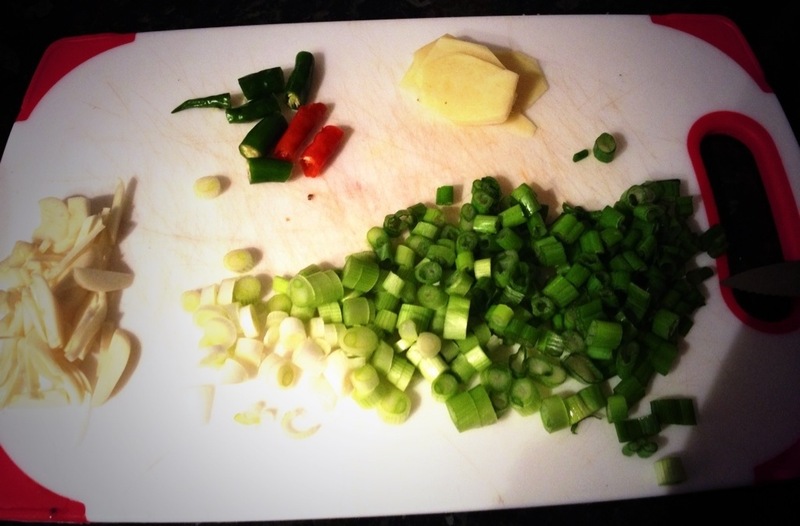 In all my other recipes, you will have noticed that I love finely chopped onions, ginger and garlic. 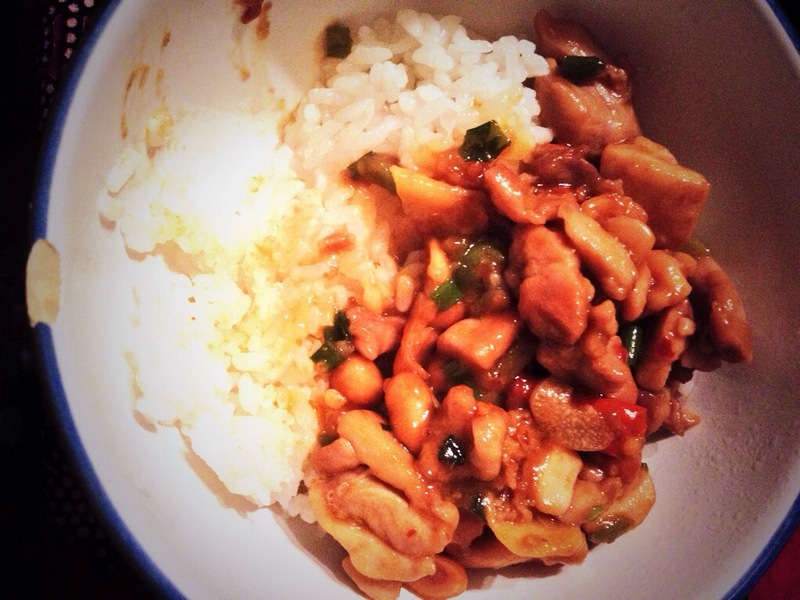 For this chicken dish though, I followed the recipe and sliced the ginger and garlic very finely. This adds an element of surprise when you get a piece of ginger in your mouth, but the taste is not at all overpowering due to the very thin slices. Marinate the chicken in a bowl with all the marinade ingredients and set aside for at least 30 minutes. Mix all the ingredients for the sauce together in a small bowl and keep aside. Heat the chili oil and 1 tbsp vegetable oil in a wok or non-stick frying pan and fry the chicken until it is 70% cooked. Remove and keep aside. Heat another 2 tbsp of oil and fry the ginger, garlic and fresh chilis for 3-4 minutes until fragrant. Then add the chicken back in the pan and stir until just about fully cooked. Add the peanuts and spring onions, stir for 2 minutes and then add the sauce from the bowl. Stir until everything is nicely coated and then serve hot with sticky rice!